Enslaved was formed in 1991, by Ivar Bjørnson and Grutle Kjellson. Joined by drummer Trym Torsson, they did their first demo in the summer of 1992. They started out as a Viking/Black metal band and then developed their own uniqe style that we know today. 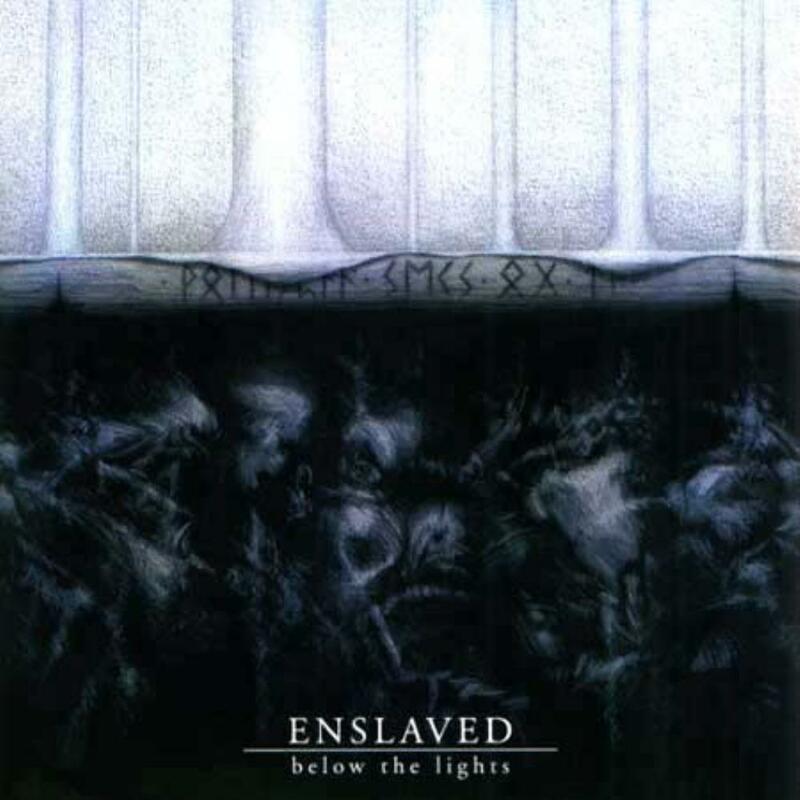 Below the Lights" were recorded in 2002 and released the year after, and presented the perfect blend of power, tradition, progressive elements and dark psychedelia. Below the Lights is a considerably easier product to consume than their past two albums. The song structure is more straighforward and not so caothic as on Monumension and Mardraum.The songs are epic and progressive and there is some nice twist and turns that connects many lenghty passages. They use keyboards but have made sure it got that 70`s dirty sound and that combined with some kickass riffs makes this a great listening experience. There are a few excellent melodic solos, at times a lot of rock influenced playing, and on the more technical side there are lots of chord progressions using different time signatures as well as fast and complex thrash patterns. In other words, they combine riff metal with intricate prog-rock passages. The riffs of The Dead Stare is just pure genius. The vocals is black metalish and I know many have some problems with thoose kind of vocals, but since im a big fan of black metal Enslaveds vocals are just perfect and goes with the music very well. I would reccomend this album to any one who like agressive progressive metal. If your a fan of Opeth its a big chance you will like Enslaved`s last 3 albums.